If you want to improve the appearance of you car, you should start by replacing the wheels, especially if you own an exotic sports car. You should research keenly and get the best wheels in the market. One design of wheels that has increasingly becoming popular with time are the GFG Aventa Wheels. 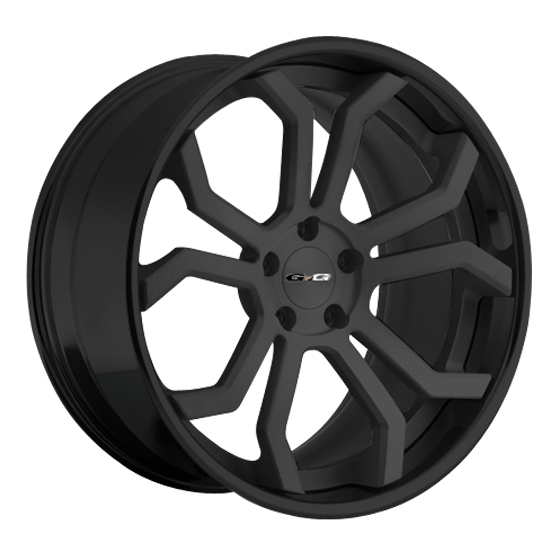 These wheels are unique, high quality and reliable designs that you should purchase and fit in your vehicle. They are produced by one of the widely recognized companies, the GFG Company, that has been producing some of the best cars and auto parts from many years. Therefore, if you visit this company in need of high performance wheels, you will definitely be able to fulfill your needs and requirements. A great car design will always look good when fitted with the best will wheel designs in the market as they are the most essential accent when it comes to the exterior of the car. If it is not very easy to choose the best wheel design in the market but you should always go for the best in the market. In deed, it can be a challenging and demanding task but with enough research, one can easily get the best model in the market. When choosing the best GFG Aventa Wheels, you should look at a few things. First and foremost, you should look at the appearance of look of the wheel design that you want to choose. GFG Aventa Wheels are very attractive and eye-catching as they are available in a veritable rainbow of color combinations and you should look for a color design that will complement the look of your car and reflect your taste and style. Hence, there is no other company that offers great styling possibilities that are offered by the GFG wheels. Apart from the look of the available GFG Aventa wheels, you should also look at the design of these wheels and make sure that you go for the best. GFG wheels come in forged modular modes and they are custom made from the 6061 aluminum hence they are also long lasting. The design of these wheels is also enhanced by the fact that great technology was used to design these wheels. This company houses a group of experienced and skilled experts who are familiar with the use of modular 3-piece forged construction technology. Another feature of the GFG Aventa Wheels that you should consider is the size of the wheels. These wheels or rims come in varying sizes. Therefore, before you choose the best design, you should look at the size pricing and specification of the wheels. Additionally, you should also make sure that you go for a size that will fit your car perfectly and give your car a new look. The available size varies from 19 inches to 26 inches and with the size measurements in your fingertips, you will should be able to choose a design that will suit your car. Lastly, the best place where you can purchase this GFG Aventa Wheels is online. The online market offers a lot of opportunities of getting the best design and other benefits such as free shipping and buying this wheel at affordable and budget –friendly prices. Follow us on Facebook or Twitter to be the first to know of our latest deals and discounts. You may also visit our American Wheel and Tire Shop in Houston, TX to find more of the latest products of GFG Aventa Wheels. This entry was posted in wheels and tagged Aventa, Aventa Rims, Aventa Wheels, gfg, GFG Aventa, GFG Aventa Rims, GFG Aventa Wheels, GFG Rims, GFG Wheels, rims, tires, wheels. Bookmark the permalink.